You don’t have to travel across continents to go on a wildlife safari when you can do it right here in India. Don’t believe us, look at these attractions in Madhya Pradesh and you will be surprised to know the kind of wildlife and natural beauty present here. From plateaus, thick forests, plains, rivers, ancient forts, monuments, palaces and plenty of wildlife parks -especially living in a herbaceous location, the state of Madhya Pradesh, has it all. 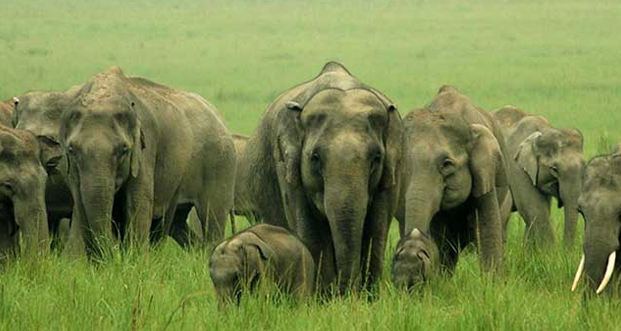 Wildlife in Madhya Pradesh is a key attraction for the visitors. Rudyard Kipling’s Jungle book was inspired by this park, which is home to rolling plains, Sal and bamboo woodlands and winding river streams. One of the best national parks, the Kanha Tiger reserve is a major draw while you will also find the Blackbuck, Peacock and the Swamp deer(Barasinga). Located in Chhatarpur, the Panna National Park is a well-kept wildlife reserve and it is known for sheltering the Royal Bengal Tigers. Spread over 543 square kilometers, you will get to see around 200 different bird species and animals like nilgai, chinkara, wolves, hyenas, sloth bear, chital and chowsinga and wild dogs. 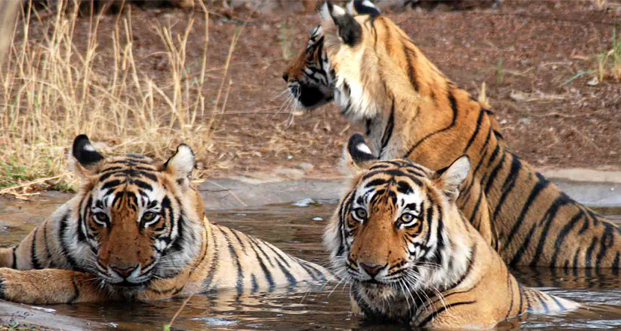 Get on a jeep or elephant safari to get up close and personal with tigers at the national park in Umaria. Not just tigers, but you will also find the national park is home to 80 aquatic animal species, 250 bird species, and 37 mammal species. A lush forest park with a new surprise animal sighting just around the corner. 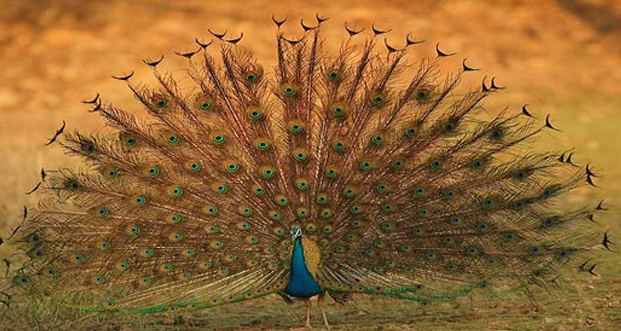 An animal reserve that lies between Madhya Pradesh and Maharashtra, it is known for its rich biodiversity. This reserve serves as a shelter for many endangered animal species like the Indian bison, Sambar, Cheetal, Nilgai, and leopards. 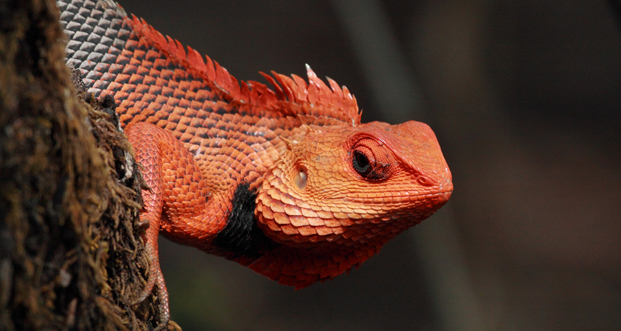 Reptiles and other birds at the Pench National Park make it a must visit. Established in 1975, the best time to visit this sanctuary is from October to June. This reserve is home to different types of trees and it is populated by several species of domestic and migratory birds. 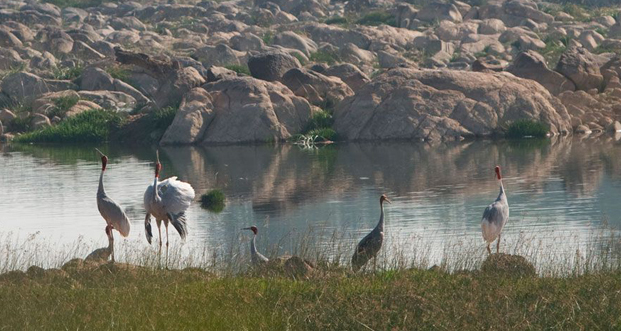 The reserve also has animals like the bison, panther, wolf, chital, four-horned antelope, crocodile and the chinkara. Not just wildlife but other places in Madhya Pradesh make it a state that warrants not only a visit but a complete exploration. If you are looking to explore amazing MP, try Kesari Tours holiday options today. Next Post 6 Reasons to Honeymoon in Singapore!